Exploring is career education for young men and women, ages 14-20. These students receive hands-on experience and find out if a particular career field is right for them. They will also get to fellowship with others sharing their same interests. Exploring can be the first step in identifying career possibilities while having fun in an exciting and informal environment. There are many upcoming Exploring opportunities in the area! Fill out our career interest survey and we will notify you of upcoming open houses and when new Exploring post is starting near you. Dental Health Care Exploring is a hands-on program in which students will learn directly from dentists and medical health leaders that will help guide and mentor the Explorers as they learn about various dental careers, dental health awareness and education, while also discussion of topics pertaining to the dental field. Fill out our career interest survey and we will notify you of open houses and when a new Exploring post is starting near you. RiteSmile Dental, 15200 Southwest Fwy, Ste. 250, Sugar Land, Texas. Aviation Exploring combines exciting hands-on activities with interactions with aviation professionals representing a wide range of careers. Explorers will experience firsthand what it's like to be a pilot, aircraft mechanic, flight engineer and air traffic controller. Check Back. A new program is currently in development. Fill out our career interest survey and we will notify you of open houses and when a new Exploring post is starting near you. Business Career Exploring is a hands-on program open to young men and women with an interest in the many functional areas within a business, including sales/marketing, operations, finance/accounting, customer service, human resources, and information technology, learning more about careers in the field of business. Check Back. A new program is currently in development starting in January at Community Health Choic, Inc. Fill out our career interest survey and we will notify you of open houses and when a new Exploring post is starting near you. 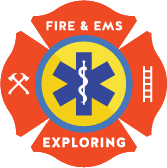 Fire & EMS Career Exploring is a hands-on program open to young men and women from the 6th grade to 20 years old with an interest in learning more about careers in the field of fire or emergency services. Check Back. A new program is currently in development starting in January at Rosenberg Fire & EMS. 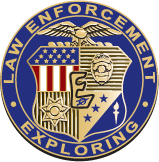 Law Enforcement Career Exploring offers young adults a personal awareness of the criminal justice system through training, practical experiences, competition and other activities. Additionally, the program promotes personal growth through character development, respect for the rule of law, physical fitness, good citizenship and patriotism. Various program accepting new youth throughout the Houston area. Health Care Career Exploring is a hands-on program where you will learn from medical professionals who work in the healthcare industry every day. Explorers will learn from healthcare leaders who will share their experiences and expertise to help support you as you learn about the healthcare field. Does the field of Law & Government peak your interest? The Estes Law Office in Fort Bend County will strive to support and guide students interested in the field of law. The most popular careers in this field include attorney, judge, paralegal, court reporter, and city manager. 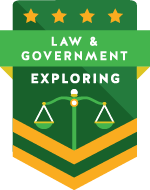 Explorers will get to experience firsthand what it’s like to serve as an attorney, conduct legal research vital to the success of a case, and meet with attorneys. The Estes Law Office, 716 S. Union Street, Richmond, TX. Still accepting new members. Fill out our career interest survey and we will help you find an Exploring post near you. Today's Skilled Trades workforce are engaged in work critical to the nation’s well-being, such as energy production, highway transportation, and manufacturing which are in high demand across the country. These are rewarding careers and very vital to our workforce. Nearly half of the US industries report difficulties locating qualified individuals with skilled trades expertise. 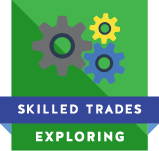 Skilled Trades Explorers will participate in hands-on projects to give them a real feel for whether this career is the right one for them. They will network with professionals who work in these careers every day –using the latest technology and emerging trends. They will also learn about the educational requirements for a career in Skilled Trades and will receive tangible advice on steps to take now to prepare and position themselves for a successful career in the field of Skilled Trades. Texas Carpenters and Millwrights Houston Training Center, 5500 Spencer Hwy, Pasadena, Texas. Elite Pipe Welding Academy, 7119 Village Way, Houston, Texas. Aldine, Channelview, Conroe, Cy-Fair, Humble, Klein, Magnolia, New Caney, Royal and Spring school districts.